Viknesh Vijayenthiran March 6, 2014 Comment Now! Attention One-Percenters, your latest ultra-exotic, limited-edition hypercar is finally here, revealed in full today at the 2014 Geneva Motor Show. It's called the Koenigsegg One:1, and it should be an insane road-going time machine that transports you to future sections of roads in the blink of an eye. We first brought you details on the One:1 as far back as November 2012. Since then there have been plenty of rumors but now we have the definitive details on the world’s newest supercar. 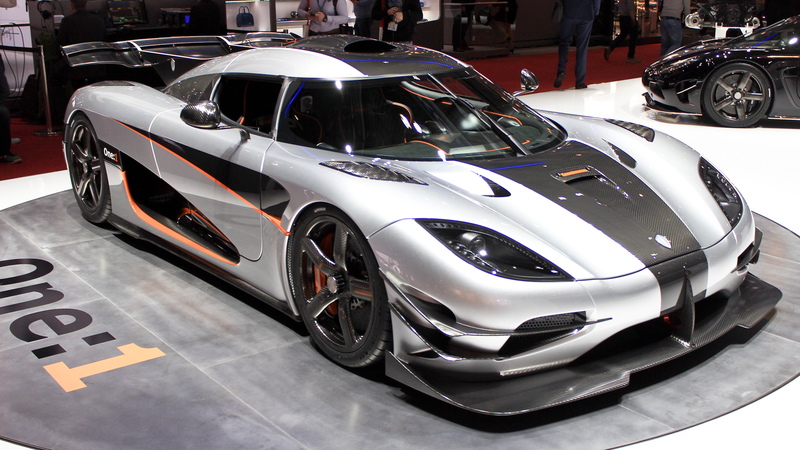 Marking 20 years since the formation of the Koenigsegg skunk works in Sweden, the One:1 is very much a Koenigsegg product, one based on the Agera line of supercars recently launched in the U.S.. However, numerous upgrades mean it’s virtually an all-new car. The car gets its name from the fact that it produces one horsepower for every kilogram of weight. 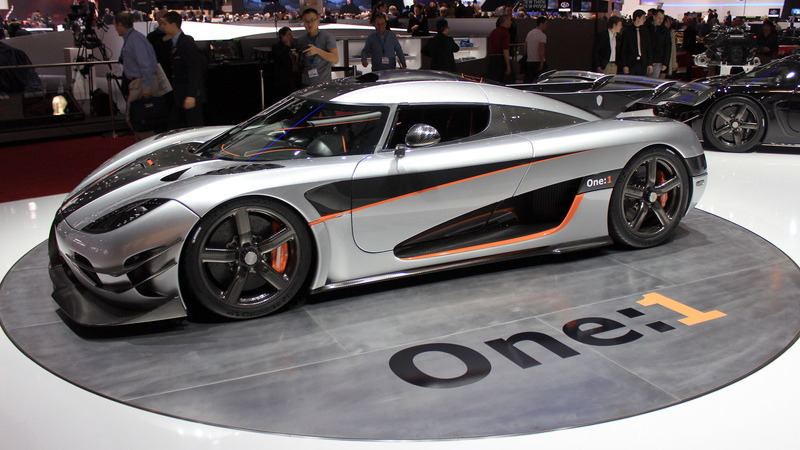 Koenigsegg calls it the world’s first production ‘Megawatt’ car, because of its 1,000-kilowatt power rating. For readers in the U.S., that translates to about 1,341 horsepower, which means, you guessed it, the car weighs just 1,341 kilograms (2,956 pounds)--taking into account all necessary fluids and even the weight of an average size driver. 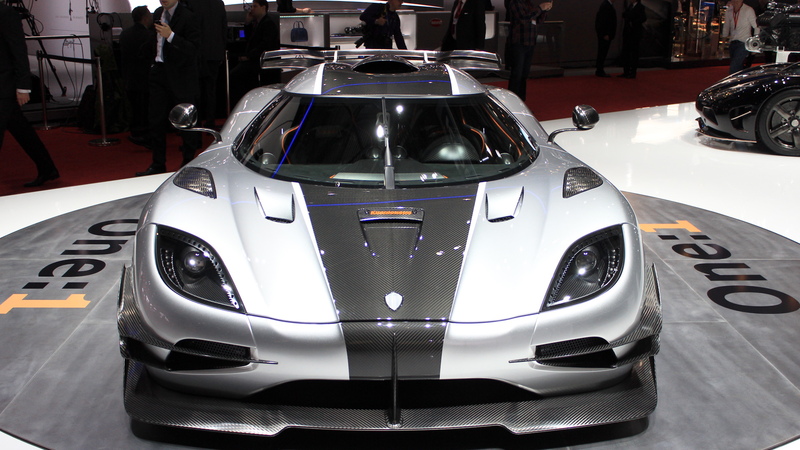 This was achieved via a 20 percent lighter chassis and body compared to the Agera, made using advanced carbon fiber. By comparison, the world’s fastest production car, the Bugatti Veyron Super Sport (according to Guinness) develops only 1,183 horsepower and weighs more than 4,000 pounds. Performance, as you would expect given the insane power to weight ratio of the One:1, will be nothing short of amazing. Koenigsegg is confident the car will set new acceleration records for 0-200 km/h (0-124 mph), 0-300 km/h (0-186 mph) and even 0-400 km/h (0-248 mph) sprints. The latter could be as quick as 20 seconds. 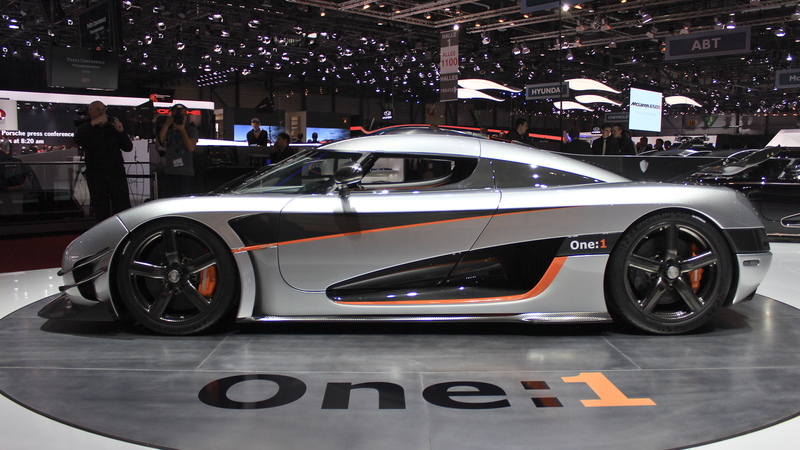 As for top speed, Koenigsegg says that’s not a priority for the One:1, since it is a track-focused car. However, the company is confident the One:1 could eclipse the Veyron Super Sport’s 267.8 mph speed record and go on to pass 273 mph! But if you’re thinking the One:1 won’t be able to handle corners like its Ferrari LaFerrari and McLaren P1 rivals, then you’d be wrong. The vehicle is capable of developing up to 2 g of cornering force and at speeds in excess of 160 mph its trick aerodynamics allows it to produce 1,344 pounds of downforce, which is comparable with the P1. The aero setup is fully active and consists of independent left and right front flaps under the front splitter and hydraulically-actuated rear wing. 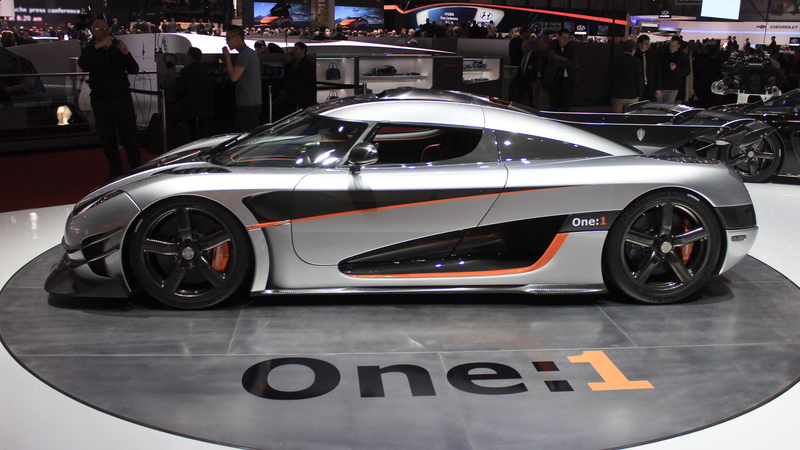 The engine fitted to the One:1 is Koenigsegg’s own twin-turbocharged 5.0-liter V-8 design. It uses variable geometry turbochargers also designed by Koenigsegg and whose housing is constructed using a 3D printing process. The exhaust, a titanium setup, is also 3D printed. Drive goes to the rear wheels only, via a seven-speed dual-clutch gearbox that was also designed by Koenigsegg. In the cabin, things are equally advanced. There is an active chassis system that can adjust the ride height and shock absorbing level based on data collected from 3G and GPS services. Koenigsegg says the setup is even effective when at the track. And there's a custom app and cloud network that, among other things, will enable owners to remotely track their car, its fuel level and battery status as well as access the latest software. The seats, meanwhile, are carbon fiber and feature memory foam. Only six examples will be built, and all of them have been been pre-sold. Not like it matters now, but the going price is believed to be around $2 million. On August 12 of this year, Koenigsegg officially turns 20. For those unfamiliar with Koenigsegg, the company was founded by Swede Christian von Koenigsegg. He was just 22 when he started the company, setting out with an idea to create a sports car that was like nothing in existence, and that would be desired. The concept, which remains to this day, was for a lightweight mid-engined car with a detachable, stowable roof. It also had to have a wraparound screen for good visibility and aerodynamics. Finally, it had to have a timeless and efficient appearance that would age like good wine, and so it has, since Koenigsegg’s first car, the CC8S, right up to the latest One:1.